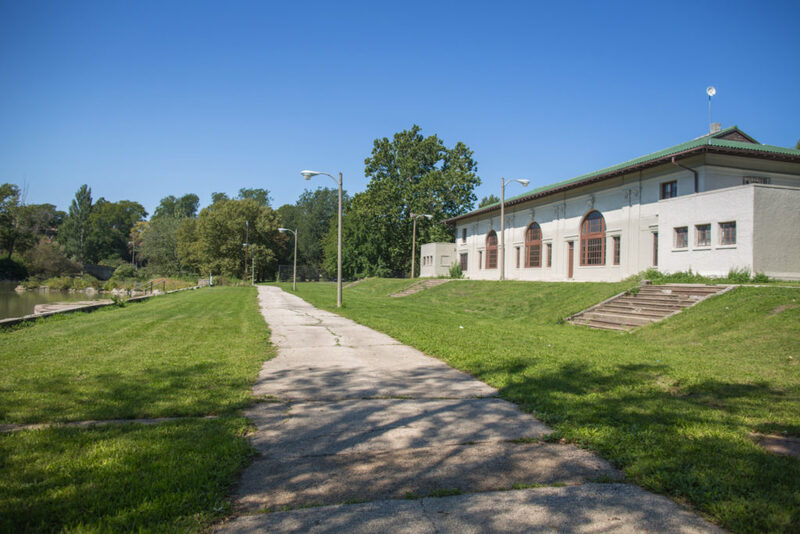 Built in 1905, with the intention of bringing social services and green space to what was, back then, a crowded immigrant neighborhood, Sherman Park now stands as an almost forgotten oasis. Situated between 52nd Street and Garfield Boulevard, Racine and Loomis, this refuge from the hustle and bustle of city life is perched on the boundary between Back of the Yards and Englewood. The history of Sherman Park is a who’s who of Chicago royalty. The park is named for John B. Sherman, a founder of the Union Stock Yards, from which Back of the Yards gets its name. (The stockyard gates still stand just two miles north of Sherman Park.) The fieldhouse at the north end of the park was designed by Daniel H. Burnham, the visionary architect who shaped much of Chicago’s skyline, and the park itself was designed by the Olmsted brothers, sons of Frederick Law Olmsted, who along with Burnham brought the 1893 World’s Columbian Exhibition to life. The jewel of Sherman Park is undeniably the annular lagoon that separates the outer walkways from an interior island of ballfields and soccer pitches. Tree-lined and slow rolling, this central water feature evokes bucolic stream more than urban pond. There is, however, more to the lagoon than meets the eye. “A lot of people don’t know what prizes are in this water,” one local tells me. Rod in hand, and smile on his face, this man is after just such a prize: catfish. “Monsters!” the fisherman exclaims. “If you find where those catfish are, you’ll have a great time catching them,” he grins, holding his arms wide, “I’ve seen ones bigger than six pounds come out of here.” The Illinois Department of Natural Resources stocks the lagoon with catfish and bluegills during the summer months, but carp, crappie, and the occasional bass are also present. To catch a fish, first you’ll need a rod. Luckily, the Sherman Park Library, located in the park’s southeast corner, will rent you one for free. Since 1997 the “Access to Fishing” program, run by the Urban Fishing Project, has provided rods and reels to a variety of locations across Illinois, including the Sherman Park Library. All you need to rent a rod is an adult library card. The rental includes a rod, extra hooks, bobber, and synthetic bait. W. 50th Street and S. Ashland Avenue. 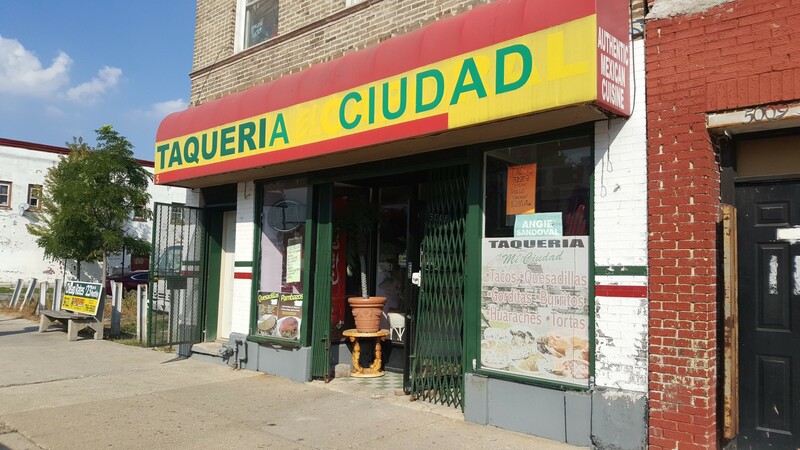 Taquería La Ciudad, 5005 S. Ashland Ave. Monday–Saturday, 9:30am–6pm. 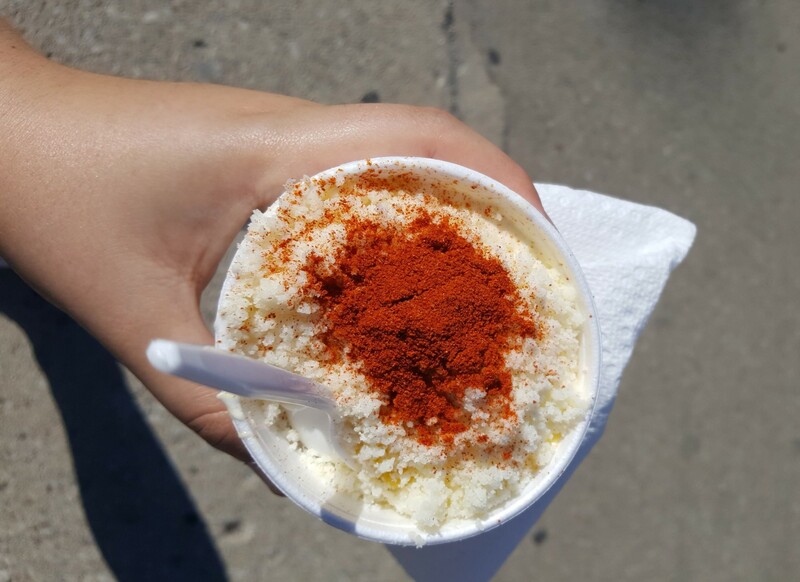 $5–$10. (773) 416-9861. “Does anyone want this?” a kid asked, waving a bulbous yellow carrot in the air. It was surely the largest carrot of the harvest at Star Farm, where some thirty community members and gardeners gathered last Friday night to celebrate the end of the growing season. Past rows of corn, kale, watermelons, and more, kids were eagerly pulling up fistfuls of rainbow carrots by the greens as adults mulled about, chatting and dancing. This particular carrot was a hard sell—maybe more raw carrot for snacking than anyone had bargained for on a Friday evening—but the boy flitted off to another group and, after some negotiating, found the carrot a home. For two years now, Stephanie Dunn has been growing and harvesting at Star Farm, a scattered-site farm and community garden along New City’s 51st Street corridor. Summer-long, Dunn sells shares of vegetables through a Community Supported Agriculture (CSA) program and tables at farmers markets in Woodlawn and Back of the Yards. But she also runs a children’s play garden, an incubator, and a training program for kids and adults with developmental disabilities. 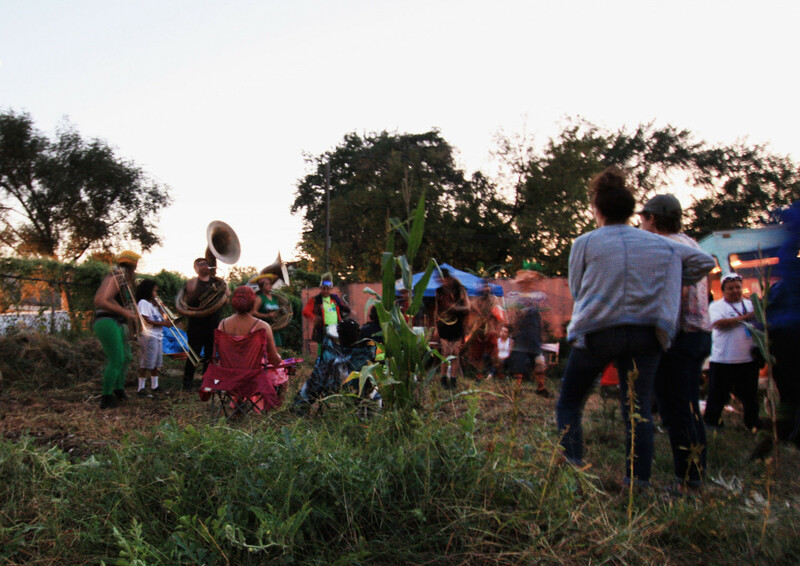 She runs the farm as an open community space, thinking of the sites as “corner lots”—a play on the concept of corner stores—where residents can congregate, hang out, barbeque, and harvest a couple of vegetables, if they’d like.